Ships today if you order in the next 14 hours 20 minutes. 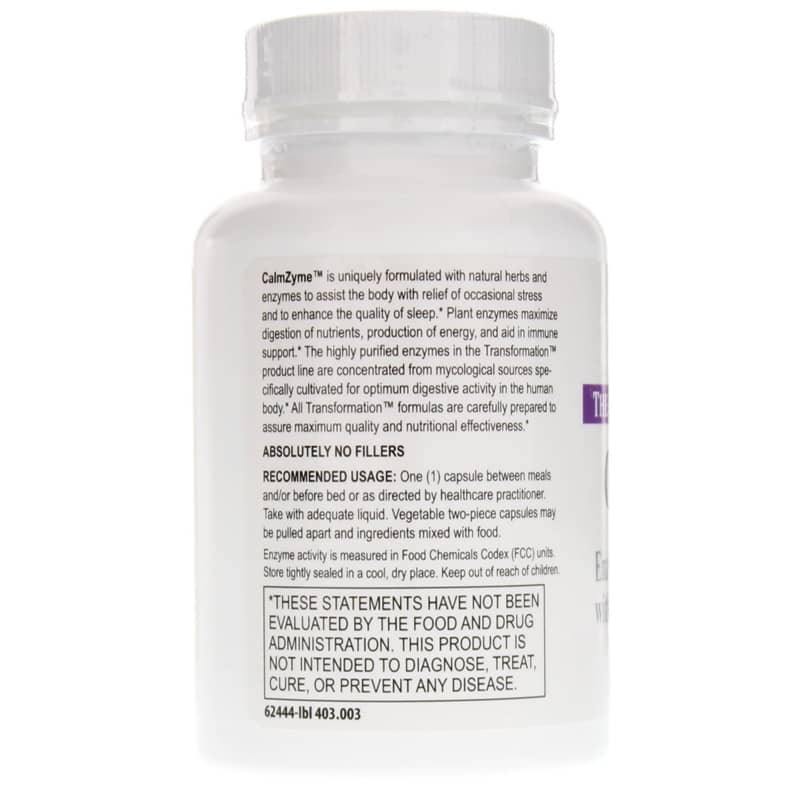 The highly purified enzymes in the Transformation product line are concentrated from mycological sources specifically cultivated for optimum digestive activity in the human body. All Transformation formulas are carefully prepared to assure maximum quality and nutritional benefit. Adults: One capsule between meals and/or before bed. More capsules may be taken as needed. Take with adequate liquid. Gelatin two-piece capsules may be pulled apart and ingredients mixed with food. 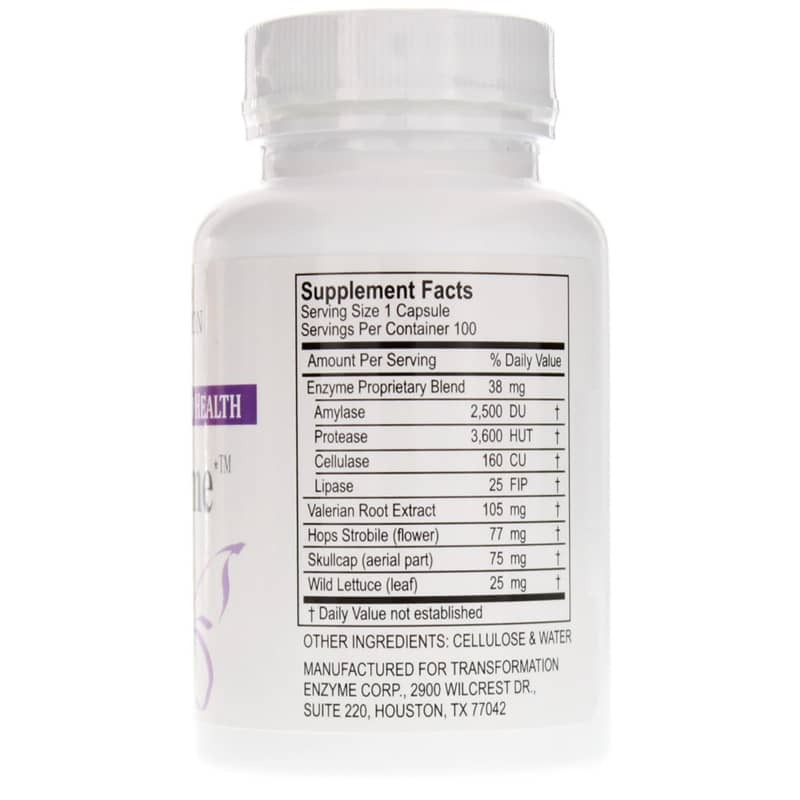 Take 1 - 2 capsules as needed for stress relief and/or 3 - 4 capsules before bed to aid in restful sleep. This may need to be taken more than once during the night for an insomniac until they break the pattern. For headaches (including migraines), take 3 capsules of CalmZyme and 2 capsules of ExcellZyme together as needed. Every time I have placed an order I am assured that it will be at my doorstep in just a few short days. Ordering is easy, quick and never a hassle. Helps me to get a good nights sleep. 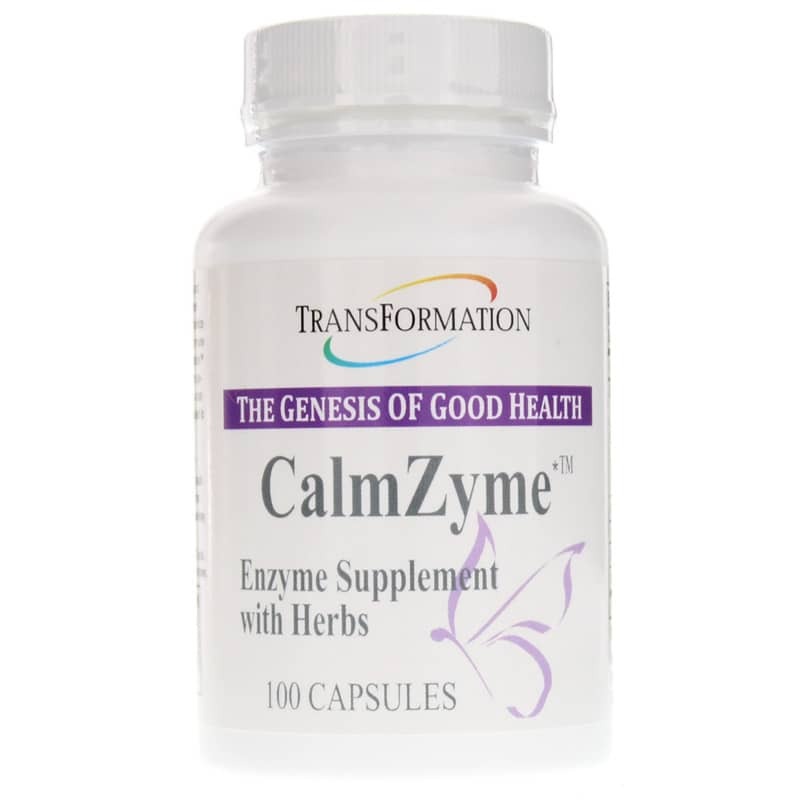 By adding Calmzyme to the rest of my supplement program I am able to sleep. At times I just take 2 and other times 3 at night. If I took it alone, I don't believe it would help so much.